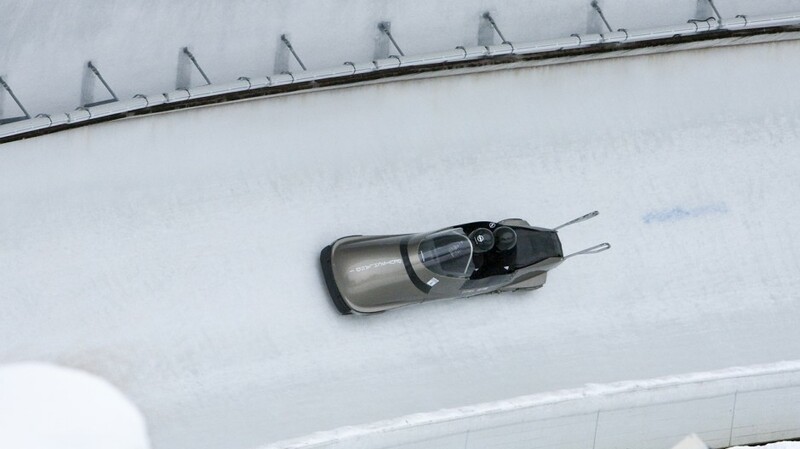 The legendary Opel bob is back – Innsbruck means: 1,270 meters of ice channel, speeds of up to 120 km/h through 14 corners and a spiral and a total vertical drop of 124 meters. The bob is 35 years old and ready to go at the Senior European Cup. Weird idea: Decades after having been retired the Opel bob is back on the ice, taking on modern sleds – successfully. Physical power: The first seconds of the official comeback. Picture perfect: The Opel outfit donned by the pilot and the bob itself take center stage. 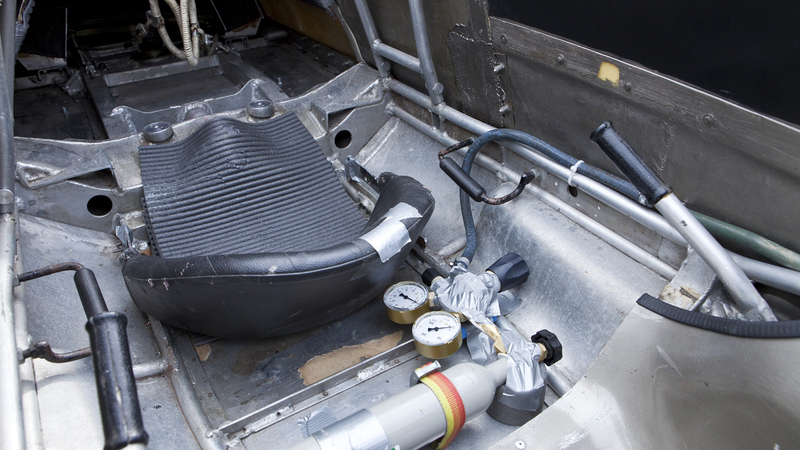 The men behind the Opel bob: Designers, engineers and mechanics developed the speedster in the late seventies. 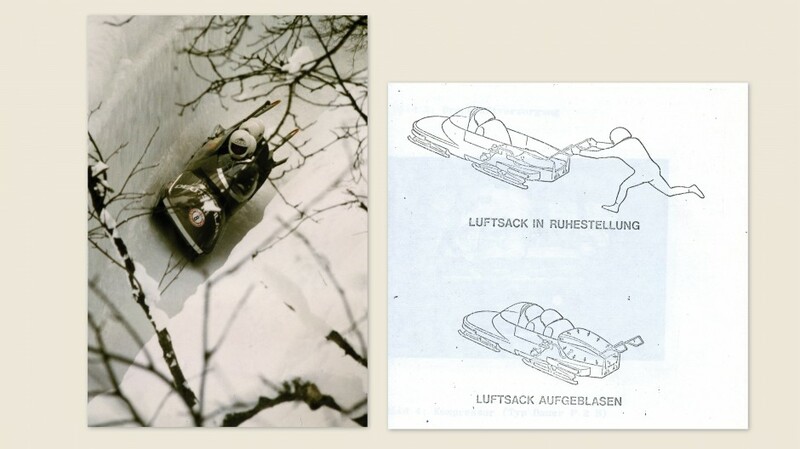 At the start of the 1980 season, the German Bob and Luge Federation receives three four-man and three two-man bobs. The West German government backed the project. Innovation made in West Germany: The bob developed by Opel impresses with individual runners with springs and an aero-dynamic Plexiglas screen developed in the wind tunnel. 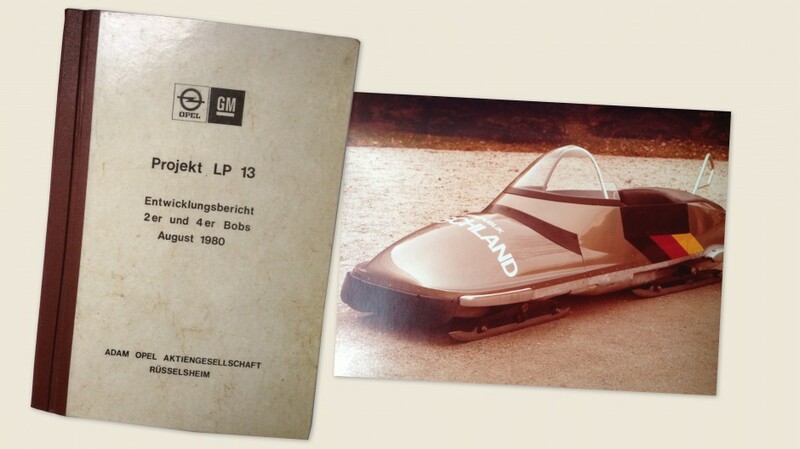 Codename “Project LP 13”: The development report written by Opel consists of 121 pages plus attachments. “LP” stands for Lake Placid, the 1980 host city, “13” for the 13th edition of the Olympic Games. 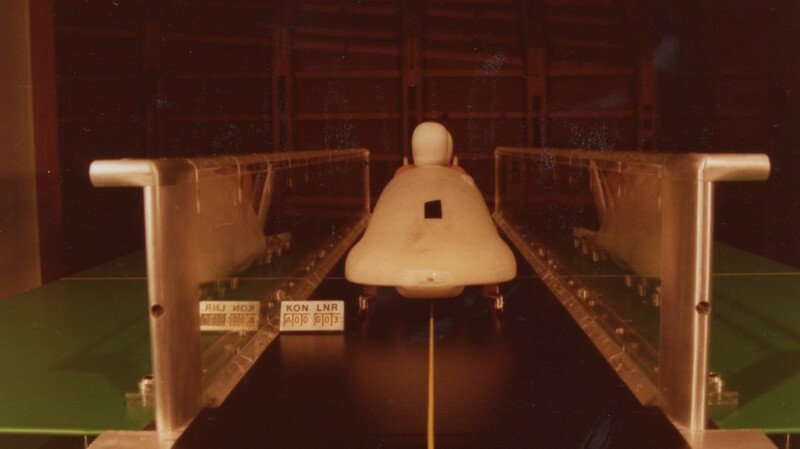 Comparison of the aerodynamic drag demands accurate documentation: Page 7 of the development report shows an image with the caption “Old four-man bob in the wind tunnel of the German Aerospace Center in Göttingen”. The prototype of the new four-man bob is also tested there. Plans get more concrete: The two-man bob in a simulated ice channel. When shorts were short: The development report also included information on the pushing test held in Dudenhofen in 1979. 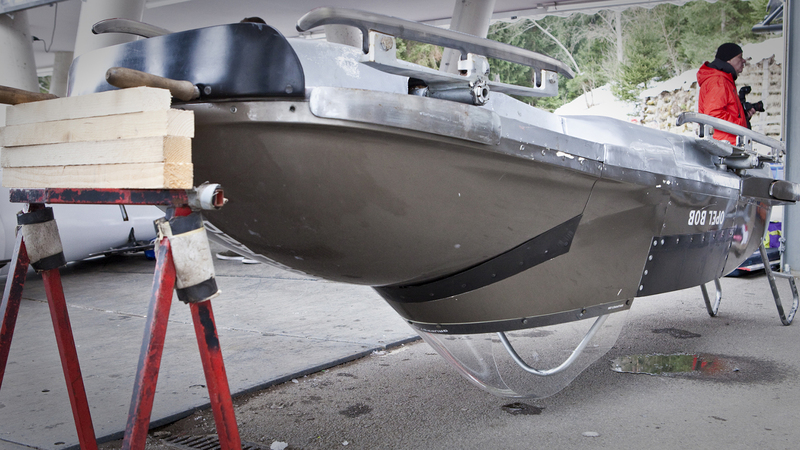 In action: The sled hailed as the wonder bob was fitted with an air-bag to increase safety. It inflates automatically when the brakeman jumps on board. 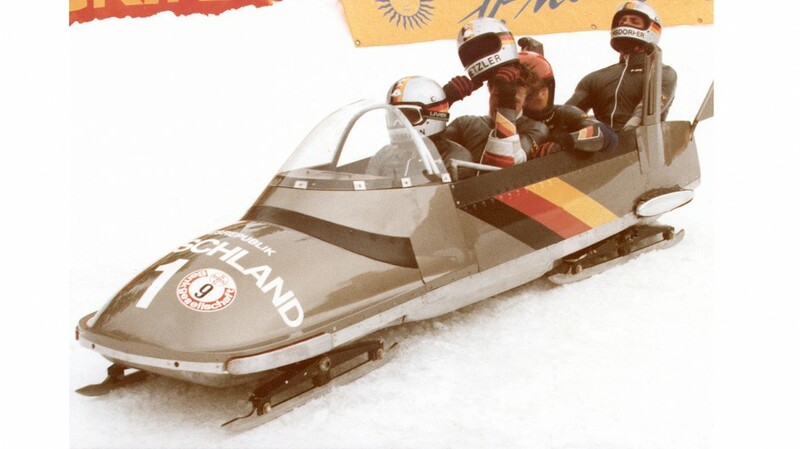 St. Moritz, January 1980, European two-man bob championships: West Germany are represented by Georg Grossmann / Alex Wernsdorfer and Anton Schrobenhauser / Stefan Späte. They finish sixth and seventh. 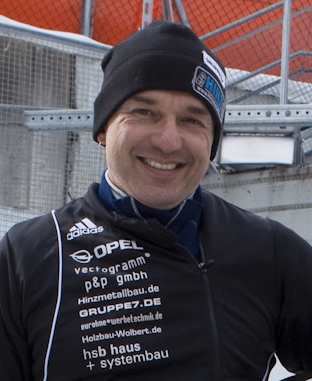 European Cup – winter sports veteran Peter Hinz fulfilled a lifelong dream. Der legendäre Opel-Bob ist wieder am Start – in Innsbruck, das heißt: 1270 Meter Eiskanal, mit bis zu 120 km/h Geschwindigkeit durch 14 Kurven und einen Kreisel, wobei es 124 Meter bergab geht. Der Bob ist 35 Jahre alt und bereit für den Auftritt bei dem Europapokal der Senioren. Schräge Idee: Jahrzehnte nachdem er aus dem Verkehr gezogen wurde, kommt der Opel-Bob wieder zum Einsatz und misst sich mit den heutigen Sportgeräten. Und zwar mit Erfolg. Schubkraft: Die ersten Sekunden des offiziellen Comebacks. Perfekt in Szene gesetzt: Das Opel-Outfit des Piloten und der Bob selbst sind der Blickfang auf der Strecke. Die Männer hinter den Opel-Bobs: Designer, Ingenieure und Mechaniker haben Ende der 70er-Jahre rasante Gefährte entwickelt. 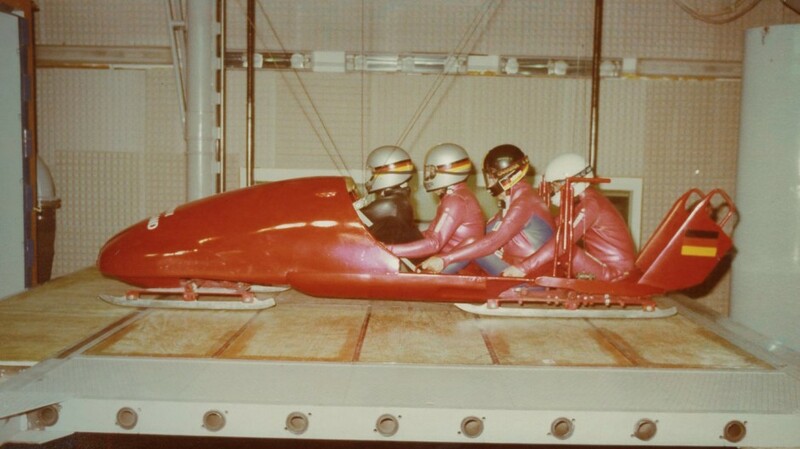 Der Deutsche Bob- und Schlittensportverband (DBSV) erhält zu Beginn der Olympia-Saison 1980 je drei aerodynamische Zweier- und Viererbobs. Das Bonner Innenministerium der BRD unterstützte das Projekt. Innovation made in West Germany: Der von Opel entwickelte Bob punktet unter anderem mit einzeln und federnd aufgehängten Kufen sowie einer im Windkanal entwickelten aerodynamische Plexiglashaube. Deckname „Projekt LP 13“ : Der Entwicklungsbericht, den Opel angefertigt hat, umfasst 121 Seiten plus Anhang. „LP“ steht für Lake Placid, den Olympia-Austragungsort, die Zahl „13“ für die dreizehnte Auflage der Spiele. Der Vergleich des Luftwiderstands verlangt eine akkurate Dokumentation in Wort und Bild: Seite 7 des Entwicklungsberichts zeigt eine Aufnahme mit der Bildunterschrift „Alter Viererbob im Windkanal der DFVLR in Göttingen“. Auch der Prototyp des neuen Viererbobs wird dort getestet. Es wird immer konkreter: Der Zweierbob im simulierten Eiskanal. Andere Zeiten, andere Sporthosen: Der Entwicklungsbericht hält auch die 1979 abgehaltenen Anschubversuche auf dem Prüffeld in Dudenhofen fest. Im Einsatz: Das auch als Wunder-Bob getaufte Sportgerät verfügt über einen Luftsack, der als Sicherheits-feature eingebaut ist, eine Art Airbag, der sich mit Pressluft aufblasen lässt, sobald der letzte Anschieber aufspringt. 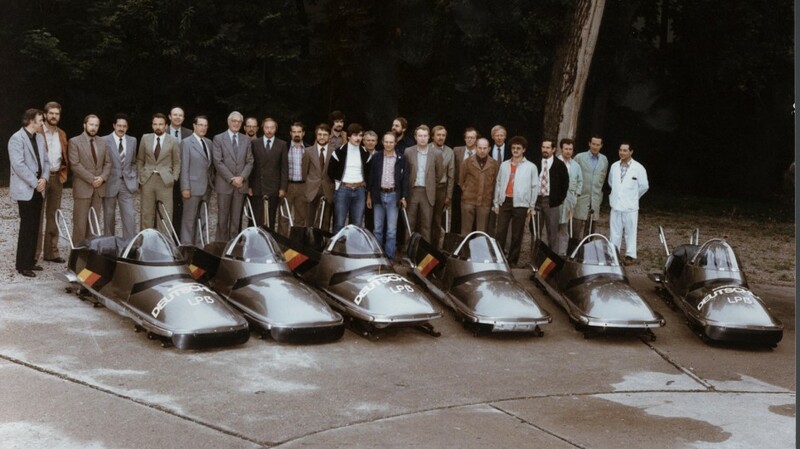 St. Moritz, Januar 1980, Europameisterschaft im Zweierbob: Für die BRD starten im Opel-Bob die Teams Georg Grossmann / Alex Wernsdorfer sowie Anton Schrobenhauser / Stefan Späte. Sie belegen die Plätze sechs und sieben. What goes through a mountaineers mind when he suddenly faces a Yeti in the Himalayas? Since this weekend numerous winter sports fans know exactly what such a meeting feels like. 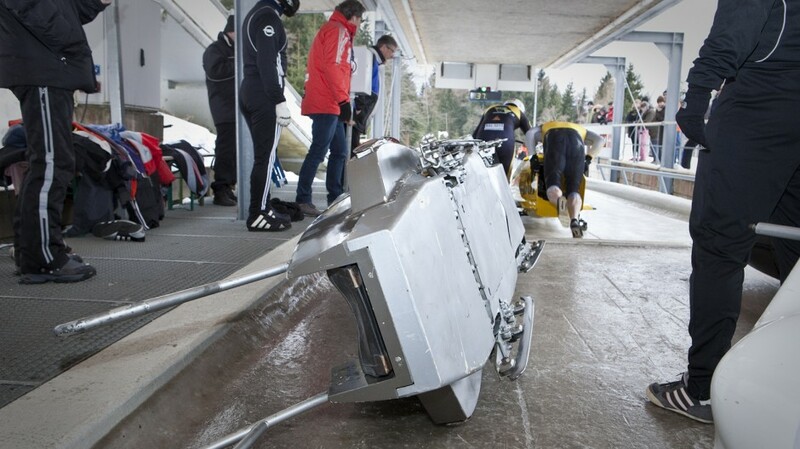 A visit to the 35th Senior Two-man Bobsleigh European Cup in Innsbruck offered a similar experience with a real legend lining up – the Opel bob, project name “LP 13”. 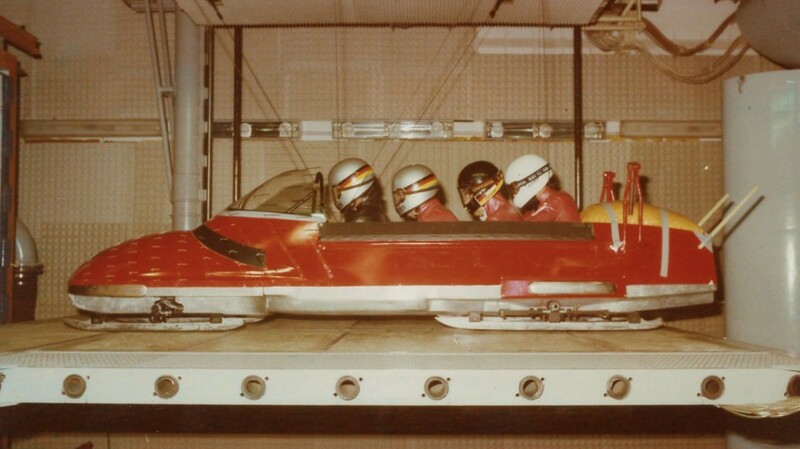 35 years ago the engineers in Rüsselsheim design the bob for the Olympic Winter Games in Lake Placid. But, in the end, it was not used and became a legend. 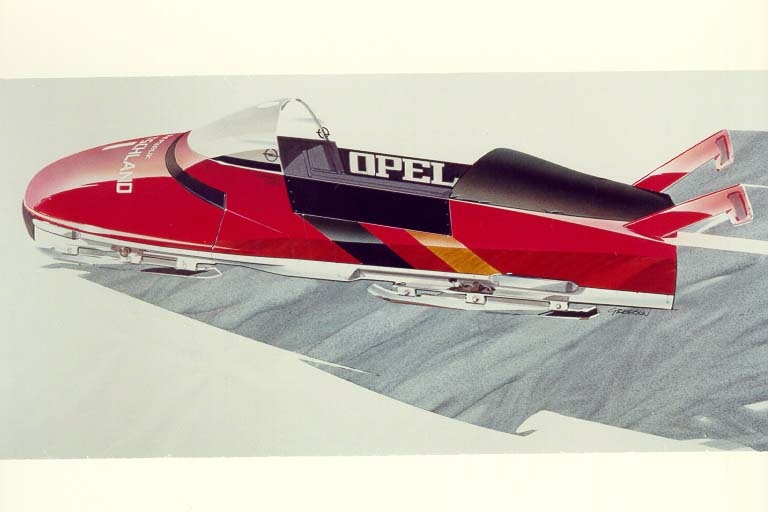 Opel for Germany: A design drawing from the late 70s showing the bob project created in Rüsselsheim. „Lots of younger fans no longer really believed that this speedster really exists,” said multiple junior world champion and European cup winner Peter Hinz. “They thought that bob veterans had made up the story.” Now everybody knows: The legend is alive – and is still really fast on its runners. 49-year-old Peter Hinz has always known that the “lightning bob” is not just a mythical creature. 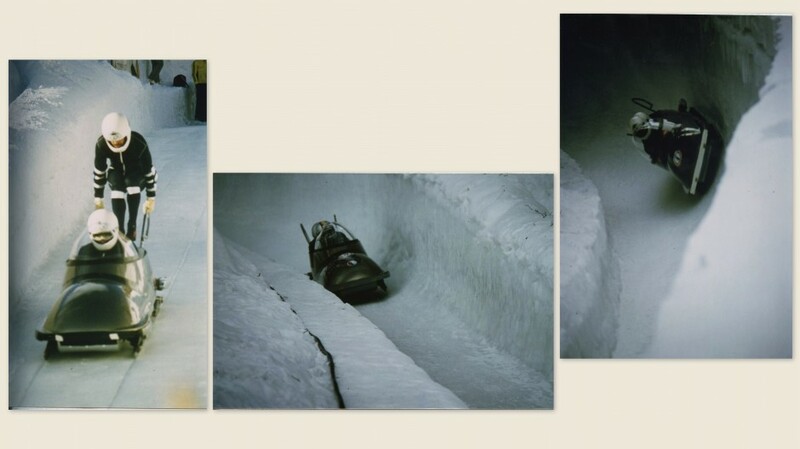 One of the six bobs made by Opel at the time was on display in the headquarters of the German Bob and Luge Federation in Berchtesgaden. The main hailing from the Odenwald area builds bobs himself. Therefore, he has always been fascinated by it and piloting one through the ice channel became a lifelong dream – one that he has been able to fulfil now. What makes the Opel bob so unique? The question should actually be asked differently: What doesn’t? Final touches: The runners of Opel bob are prepared for the race in Innsbruck. The story starts in 1977. Initially, the Opel designers are only given the task of applying special paintwork and wording to the vehicles and bobs owned by the German Bob Federation. Some of the designers are real winter sports fans and start talking shop with the athletes. The idea of creating a new Opel bob is born. When the Federation send out a corresponding tender, they decide to bid and they actually secure the deal. Opel engineers determine the ideal shape in the wind tunnel, design an especially aero-dynamic Plexiglas screen over the cockpit, add springs and dampers to the runners – which nobody has ever done before – invent a completely new “button steering” and an inflatable airbag in the back that fills with compressed air when the brakeman jumps in. 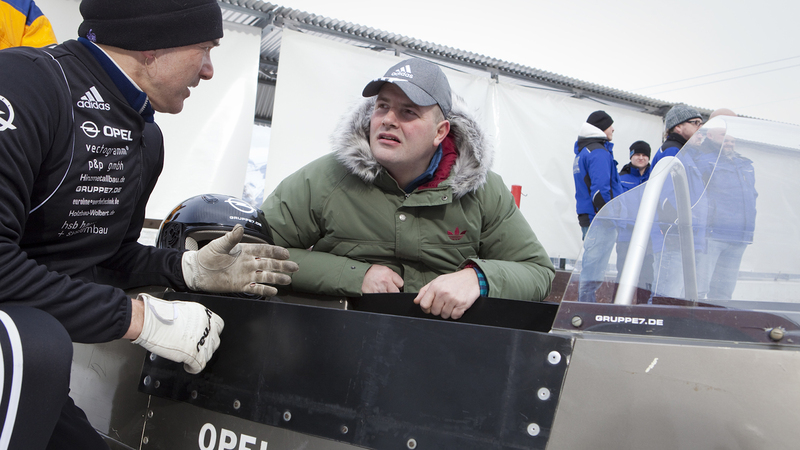 Expert opinions: Peter Hinz and bobsleigh icon André Lange talk about the Opel bob. Initial tests in Königssee are unbelievable and tabloid „Bild” already hails the Opel creation as the “Wonder bob”. The four-man bob is 0.65 seconds quicker per run than its predecessor, the two-man version 1.35 seconds faster – an eternity in this sport. Even in the late 70s and early 80s hundredths of a second could be the difference between a gold medal or no medal. However, in order to guarantee a level playing field the German Federation only allows conventional bobs during qualifying for the Olympic Games. This means that the teams that make the cut for Lake Placid have to get used to the new sled. In the end, there is not enough time because the pilots cannot get used to the innovative steering. “Too risky,” said four-man pilot Georg Grossmann. “These pieces of equipment were well ahead of their time – too far ahead unfortunately,” explained the four-time Olympic gold medalist André Lange when expected the Opel on ice. The interior of the bob is not the most comfortable place to be. A tale from the 1980s, dug up by Uwe Mertin, manager Opel Heritage, demonstrates just how influential the bob was. The flight from Lake Placid with the Opel bobs aboard was “accidentally” diverted to Berlin-Schönefeld and spent two days on the soil of the former German Democratic Republic. The Stasi, the East German secret police, were most probably responsible. Obviously, bob developers from the other side of the Berlin Wall had enough time to study the wonder bob in detail while it was on the ground. The bob was retired in 1983 but there is no doubt that it still influences bob building until this very day. Aero-dynamic: A birds-eye view of the two-man Opel bob. And Peter Hinz? He couldn’t wait to put the legend to the test with his brakeman Johann Jäger. 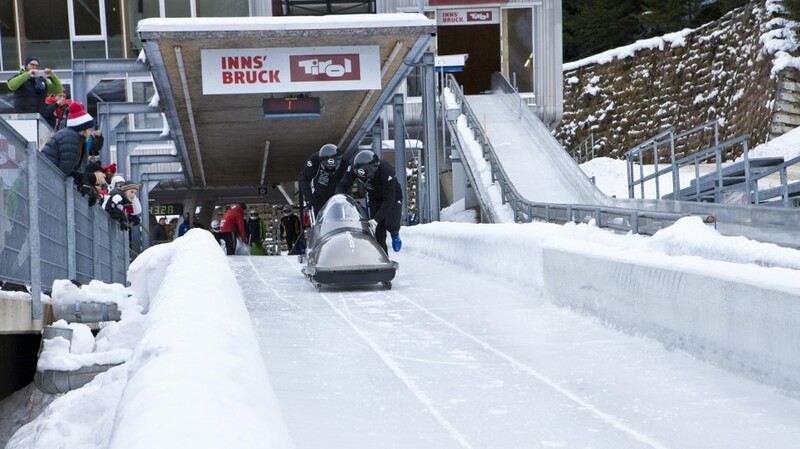 Racing in Innsbruck means 1,270 meters of ice channel, speeds of up to 120 km/h through 14 corners and a spiral and a total vertical drop of 124 meters. Hinz and the “lightning bob“ proved that a 49-year-old human and a 35-year-old bob can make a great partnership. The Opel bob clocked a time of 55.36 seconds – only 2.13 seconds slower than the winning. As hundredths still determine the outcome in this discipline, Hinz could celebrate 16th place. “Our bob can still compete,” said Uwe Mertin. But that wasn’t the main thing for him after the Innsbruck comeback. “It was great to see how much attention the Opel on runners received – from young athletes and veterans of the sport.” However, that is not surprising when a Yeti suddenly appears before your eyes. Mr Hinz, how does it feel to have fulfilled a lifelong dream? Brilliant. To pilot the Opel bob was one of two lifelong dreams that I managed to fulfil inside a week. Eight days ago I was allowed to ride on a natural ice track in Garmisch. That is something I also always wanted to do. You only had five training days to get to know the Opel bob. Could you have done better with more time to prepare? Of course. You also have to consider that there was a push bar missing at the front and the undercarriage was almost the same as 35 years ago. We could have finished two or three places higher if we had made some adjustments. Was you first ride in the Opel bob also your last? Definitely not. I want to come back next year. But first I have had to promise two former Olympic gold medalists that they can have a go too. I hope I will get another chance myself.